Where can I start? Well, our outstanding day began with us leaving school at 8:30 a.m. A group of twenty Year 7’s including myself had been awaiting the news of what our day could bring. Ms Mason and Ms Yahyaoui had been planning this day for ages and the day had finally come. As we were approaching Westway Sports Centre butterflies had begun growing and growing until we sat down to listen to our schedule … The suspense was killing us! We were anxiously awaiting the destiny of our fun filled day. 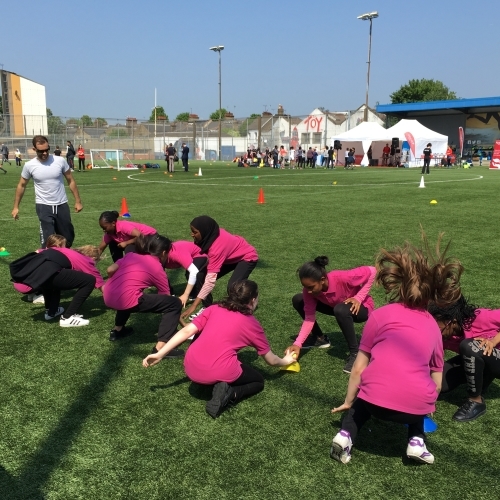 We were told we were taking part in Rugby, Handball, Rowing, Street dance and American Football. Overall the day taught us to learn about culture and helped us develop our physical education skills, team work and communication skills. We all had so much fun whilst learning! Unfortunately, our day ended. After experiencing this wonderful day, I want to go again!